Just when you think it’s safe to come out from your security booth and start enjoying the sunshine, the Five Nights at Freddy’s series just will not die. FNAF 5, subtitled Sister Location, has been teased by series creator Scott Cawthon on his official site with the image you see above. Beyond the tagline “There was never just one.” and the clown-faced horror lurking behind the title, there’s not a lot of information, but that hasn’t stopped one of the most dedicated communities in gaming getting their shovels out and going digging. Get jump-scared with the best zombie games we could find. 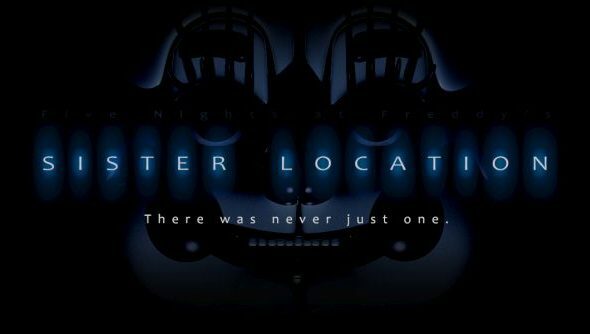 Despite FNAF 4 being subtitled The Final Chapter, and Cawthon saying last year that the poorly received FNAF World would be the final game in the series, Sister Location definitely has the name attached. Speculation abounds, but the general assumption is that this will be a return to the universe, telling a similar story but in a different pizzeria from the one featured in the first game. It’s also unlikely to share a timeline with the first games, as they told a quadrilogy of stories across a number of periods. What that means for you and I is we can look forward to lots of videos of people screaming while that lovely thing leaps at them from the shadows. Here’s a brightened up version of its eyeless, teethed grin for us all to enjoy, from Reddit. I’ve never been killed and stuffed screaming into a hell-suit by anything prettier. Lore-masters of the series are currently debating if she is the sister-bot of one of the previous characters, and whether the ‘one’ referred to is about the number of suits that survived, rather than pizzerias. That sort of play on words would be right up Cawthon’s blood covered, murderous street.